These days, with the kind of powerhouses we have as smartphones, a “1A” car charger is rarely going to cut it, and often you need a double, so your passanger can charge their phone too. Might as well get something out of the trip, right? 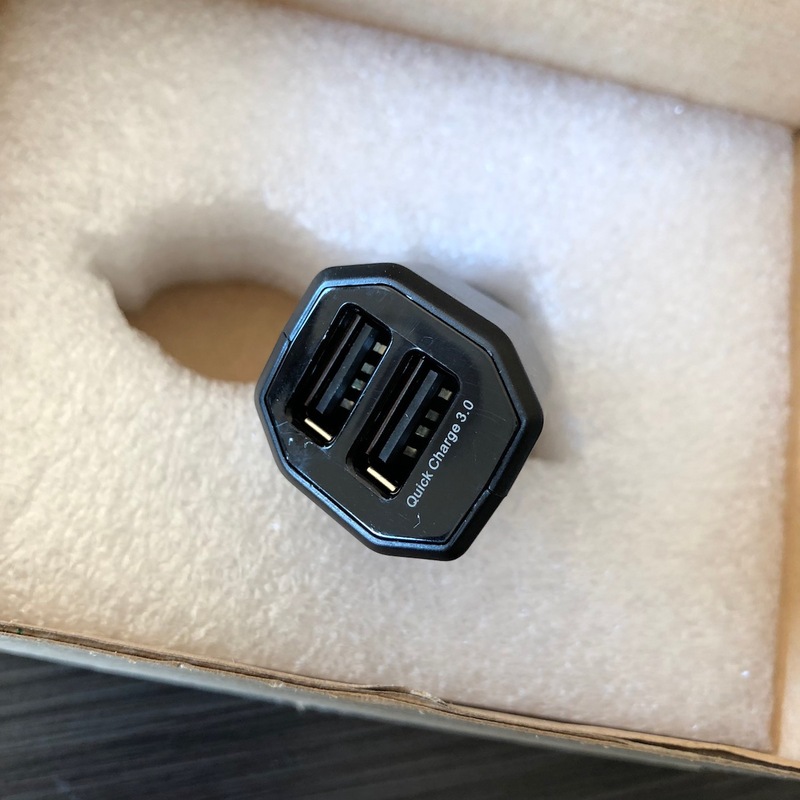 That’s why you need a high amp usb car charger that offers two USB ports, one of them even with Qualcomm “Quick Charge 3.0” support, which is said to be able to charge your phone to 80% in just 35 minutes, compared to 20% on normal charge speed. Obviously this requires that your phone supports Quick Charge 3.0, which is a technology found in Qualcomm “Snapdragon” systems-on-a-chip which is in some newer Android devices. Unfortunately, not in iPhone, so I was unable to test the actual Quick Charge speed of this charger. So where do you find one of the best dual usb car chargers? 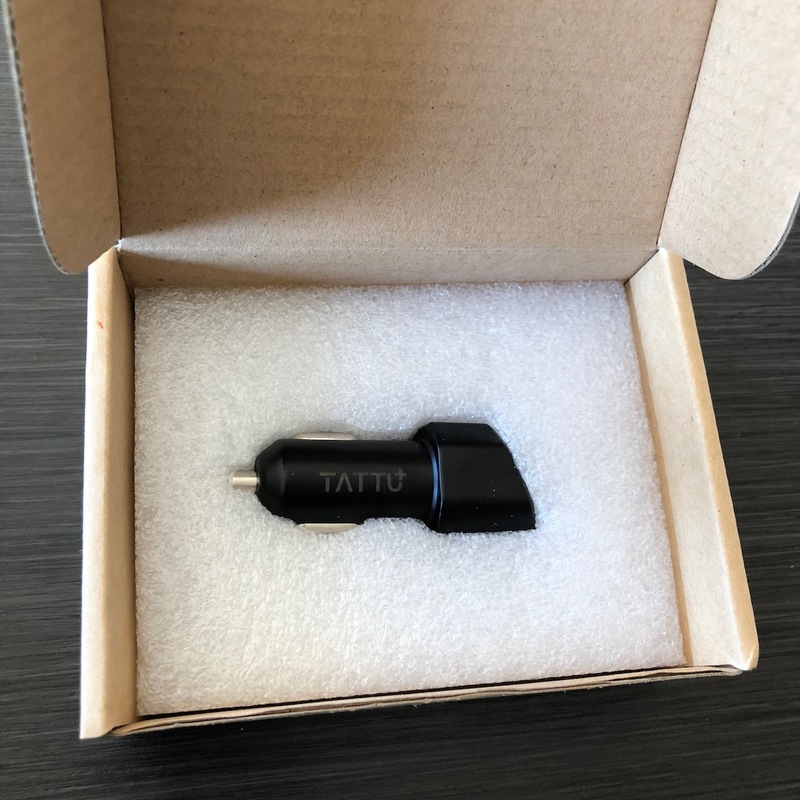 One of my recommendations would be the Tattu qualcomm QC 3.0 car charger, as pictured above. 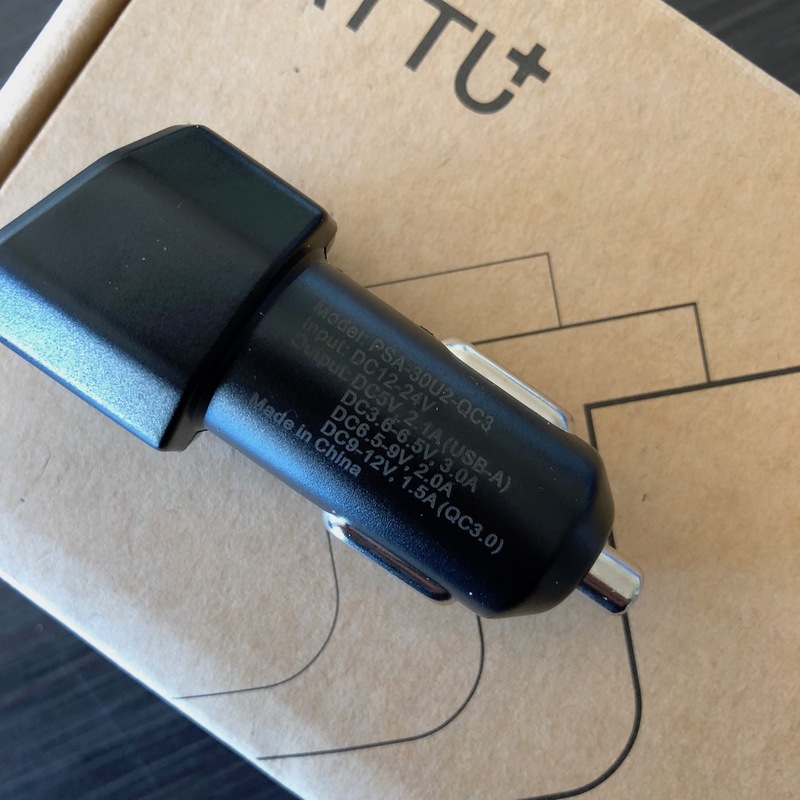 … basically what you would expect from most “smart” usb car chargers nowadays. How does it present itself? 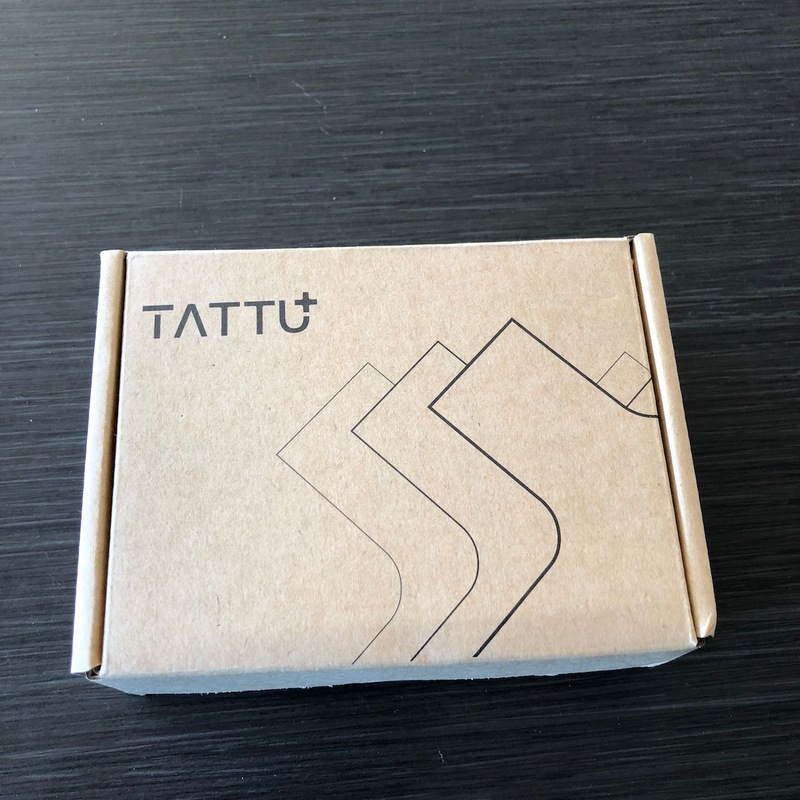 Well the first impression is not super duper, it comes in a really boring box, compared to the ZUS car charger (review here) which had a really nice retail box (and quite a different price tag, much higher!). But, it’s not the box that charges your phone, so let’s toss that in the bin. Here’s how the charger looks. You cannot see it now because it’s not plugged in, but it actually offers soft blue LED lights inside the USB ports, so you can see it in the dark. But not in a distractive way. Noticed how the USB ports are angled? That’s clever, makes it easier to plug and unplug your cables from higher up, where you are sitting in the car. Well, in many cars the car charger is located below you. 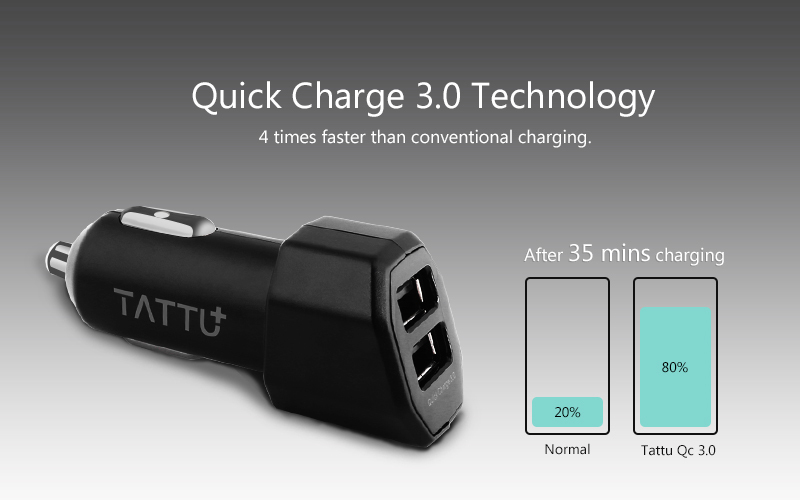 As mentioned, the TATTU car charger offers two USB ports. The top one has 2.1A output max and bottom one is Quick Charge 3.0 enabled. Combined it offers max 30w output, enough to charge two iPads. It will automatically assess the connected device to assign appropriate current for that device. Output can range from 3.6v to 12v. Input is the usual 12-14V. Really not much else to say. It’s a car charger, simple as that. It doesn’t do magic, but it charges your phone as fast as it can – and even faster if your phone as Quick Charge support. Considering the low price, you can’t go wrong with this car charger. You can buy it on Amazon US or Amazon UK.